Dischem pharmacies and any other leading pharmacies. A lightweight moisturiser, formulated to manage problematic skin. A product worth the hype! I was pleasantly surprised when I used this product. Acne has always been something that I’ve struggled with and when I reached my 20s, my skin became oily and I could not find anything that really worked. After trying out this product I was amazed because most moisturizers leave my skin feeling oily and break me out, but not this one! Great for wearing under make-up or on its own. One of my faves and constants. The pump packaging is great. It allows me to use the exact amount that I need for my face and neck. Sometimes I add three drops of some _Hyaluronic Acid 2% + B5_ and it's still great on my skin. Overall, it's a great moisturiser and worth every penny. My bottle lasts me about two full months. Since I've incorporated it into my morning routine, I haven't had any major break outs. I dont usually suffer from oily skin but occasionally around that time of the month I'm often breaking out and notice a bit of oiliness so I use this moisturiser .. It really helps control breakouts and prevents my face from looking like a disco ball.. I also use the face wash. This has an spf of 30 so very convenient. 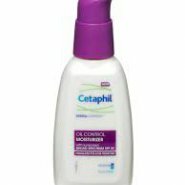 When I contacted cetaphil regrading this they advised me to not use it on or around the eye area, as it is sensitive and even more so during orratane treatment(I am in month 11 taking 40mg daily), and I should buy a specific eye cream to use in eye area while using cetaphil cream. I went back to using my NeoStrata yesterday and happy to report no more crying after applying my cream! I enjoyed using this product. It is lightweight, easily absorbed and reduces redness and shine. I was pleased that it also had a built-in SPF30. It is great for sensitive skin, even with the SPF. It does not treat any existing blemishes though, I saw absolutely no difference. However, it was not formulated to do so. 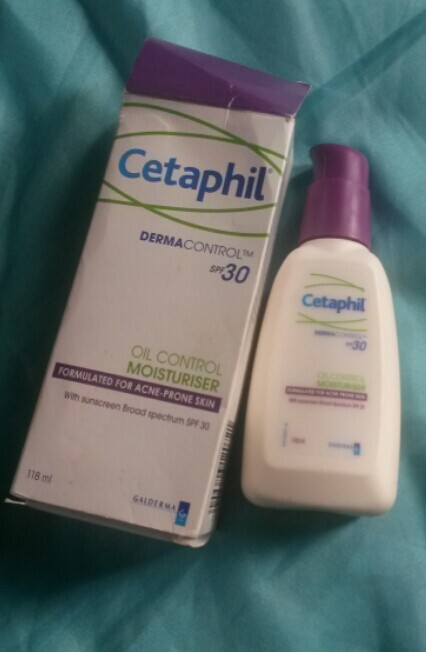 I will probably try using a serum (for blemishes) before applying the moisturiser so that I can obtain dual benefit. 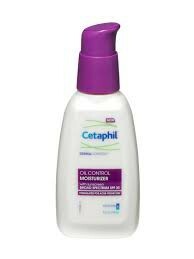 It would also be nice having a seperate Cetaphil night cream in this range as I would not apply the Cetaphil Derma Control Moisturiser at night,especially with a SPF as this may cause further breakouts. Nonetheless, overall I was pleased with this product.